Oh, Dear: Another Winter Heating Replacement | Robbins Heating & Air Conditioning, Inc. There is never a good time to discover that you need to replace your heater. Even we will admit that it is not the most exciting way in which to spend your hard-earned money. Plus, because it is so hot around here for so much of the year, needing to make the investment can sting a little extra. That being said, you will need to replace your heater eventually. Even if our winters are mild compared to those in the Northeast or the Midwest, they do take their toll. You’ve no doubt been running your heater here and there lately. Did it suddenly break down on you entirely? Will it not start up at all? Those are pretty clearcut situations in which you’ll need to replace your home heating system. What about those situations in which you’re just unhappy with your heater’s performance, though? Or when it needs yet another repair? The right course of action is not always obvious, which is why we’ve got this post for you today. How Old Is Your Heater? No, age itself is not really a reason to replace your heater. If you had your system professionally installed by qualified technicians and you’ve been diligent in scheduling annual maintenance and changing air filters as needed, then there is no reason why your system shouldn’t operate successfully even beyond the average lifespan of such systems. Age does inform the decision to repair or replace in some cases, though. Take, for instance, a very inefficient heater in Farmington, NM. Maybe the system is so old that it has lost some of its capability for efficiency over the years. In that case, you may want to replace it with a more efficient system even if it is still operational. 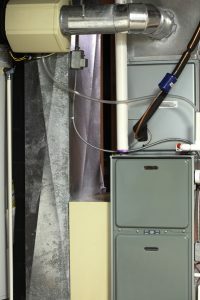 Maybe your heater actually is not that old, but you bought an inefficient system to save money. If you can afford it now, replacing it with a more efficient system even if it’s not broken down and old may make the most sense in the long term. We told you, it’s not always obvious! Okay, so your heater needs a repair every year or two. Is that reason enough for replacing it with a more reliable heater? No, it is not! Look, no heater is perfect. Even if you do schedule annual maintenance, you can expect your heater to run into an operational problem every once in a while. If the problems are growing more and more frequent, though, especially if the system is also quite old, then yes, it may make sense to replace it rather than to continue sinking money into it. There is also the matter of cost to consider. If your heater is old, has been reliable, but also needs a very expensive repair, then replacement is still an option to consider. Consult with your technician and do a bit of research. If your system is approaching, at, or already beyond its expected lifespan, then there is only so much money you should really spend to get it back on track. Don’t waste your time with the run-around. Contact Robbins Heating & Air Conditioning, Inc. and let us do it right the first time!